Hillel Pl Plaza is here! Construction started late last month and today it has officially opened to the public. Check it out and have a seat after shopping, eat, relax, and enjoy the public space. 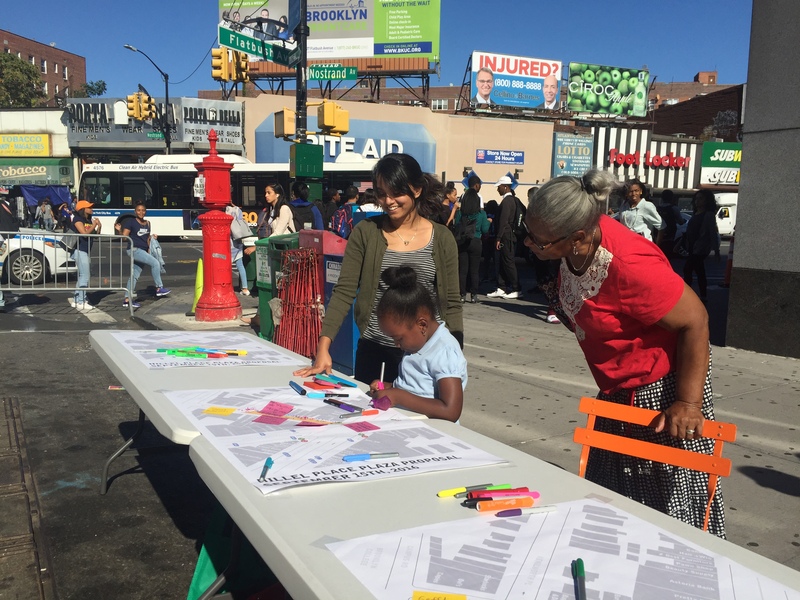 On March 12th, Brooklyn's Community Board 14 voted to approve the plaza! Implementation is projected to take place in Summer 2018. Please check back on this site, as we will post news and updates regarding this project. Representatives from the NYC DOT gave an updated presentation to the Transportation Committee of Brooklyn's Community Board 14. Today is the final day in the series of One Day Plaza events being held at Hillel Place. 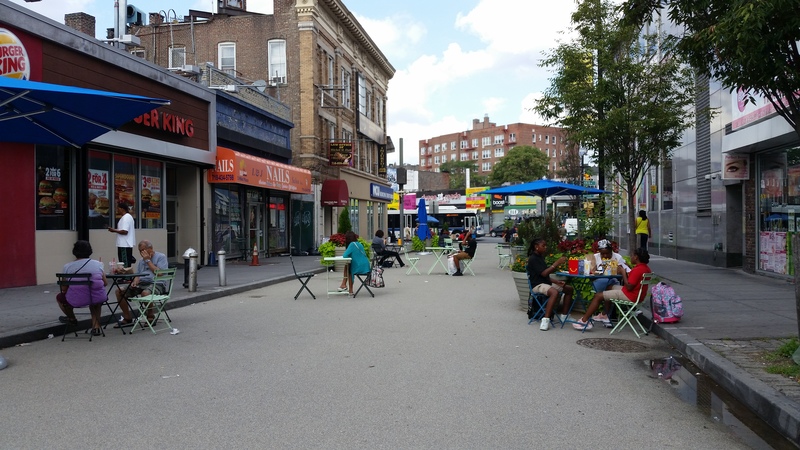 Today is the first day of the series of One Day Plaza events being held at Hillel Place. 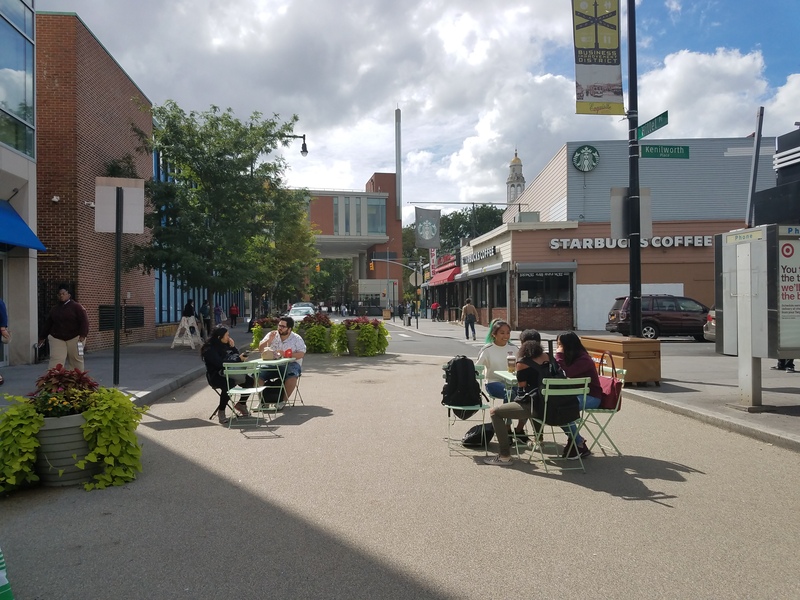 Come join us from 3 to 6 PM to see how a plaza would function in that area. Take a survey with representatives of the Department of Transportation to get a free giveaway!